Child Passenger Safety Week: Is Your Child Buckled Up Properly? This week is National Child Passenger Safety Week— a great reminder to make sure your children are secured properly in their car or booster seats. It could mean the difference between life or death in a car accident. Recently, a 5-year-old girl was ejected from a car and died in a wooded area of Washington County, Pennsylvania. The vehicle in which she was a passenger went off of the road and fell 50 feet down a steep hillside. According to state troopers, "There was a booster seat in the car, but it did not appear to be properly restrained." This tragedy highlights the importance of securing your child correctly in a car or booster seat while driving. If you drive with young children in the backseat, you know that there are other priorities to consider besides finding that CD the kids love, or that toy that they "need" for the drive. Your children's safety while driving is a top priority and their degree of protection in the event of an accident depends on the correct installation and use of their car seats or booster seats. In fact, "using a car seat properly can reduce the risk of a child's death by 71 percent for infants and 54 percent for toddlers," according to the National Highway Traffic Safety Administration. 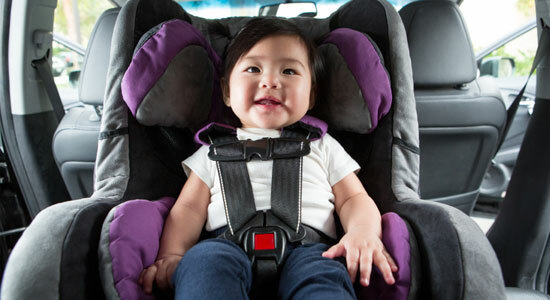 First to consider: are you using the right seat according to your child's height and weight? If so, are you securing them correctly? The Pittsburgh Bureau of Police asserts that the car seat misuse rate in Allegheny County is about 90 percent! Parents may find that sorting through all of the different car seat resources, some of which may contain conflicting information, gets confusing. Which information is best? This is why, in honor of National Child Passenger Safety Week, we have revamped our Car Seat Information Center to make it easier for parents to make the best decisions to keep their children safe. Police departments and safety organizations conduct child seat inspections to ensure that your car or booster seat will safely protect your child in the event of an accident. Find a child seat inspection station near you. Source: “Child Killed When Mom Crashes Over Steep Hillside in West Finley Township.” WTAENews. September 13, 2013. “Child Passenger Safety: Fact Sheet.” Centers for Disease Control and Prevention.